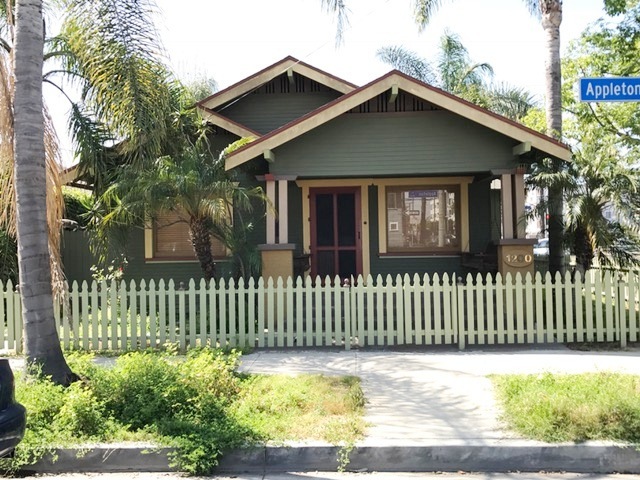 DESCRIPTION: GREAT OPPORTUNITY TO BUY A CRAFTSMAN STYLE 2 BEDROOM PLUS OFFICE (OFFICE POSSIBLE 3RD BEDROOM WITH NO CLOSET) 1½ BATH (½ BATH MAY NOT BE PERMITTED) HOME IN THE ALAMITOS BEACH AREA OF LONG BEACH. THE HOME FEATURES A LIVING ROOM, DINING AREA, KITCHEN AND SERVICE PORCH WITH SIDE BY SIDE WASHER & DRYER HOOKUP. SMALL COVERED PATIO AND SMALL BACKYARD. 1 CAR DETACHED GARAGE WITH ELECTRIC ROLLUP DOOR. GREAT LOCATION. CLOSE TO THE BEACH AND DOWNTOWN LONG BEACH. OWNER PASSED AWAY IN THE HOME. CITY OF LONG BEACH GARAGE INSPECTION REPORT AVAILABLE UPON REQUEST. NO COURT CONFIRMATION.